William Henry O’Bree was born in Moulemein in southern NSW in 1887 to William and Elizabeth Margaret O’Bree (nee Hart). A sister – Isabella – was born the following year. Elizabeth died in 1890 and, in 1899, William married Emily Eliza Brown and a step-brother – Eric – was born in 1901. William was educated at Balranald and Swan Hill in Victoria, and was well-known in the area for his athleticism. Following his education William worked as a farm labourer for his uncle, John O’Bree, at Piangil near Swan Hill. 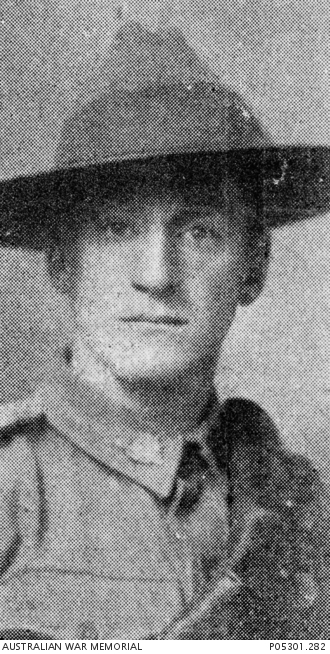 In October 1914 William enlisted in Horsham, joining the 14th Battalion as a Private. He was promoted to Lance Corporal the following month. On his attestation papers William nominated his father as his next of kin. William’s parents lived in Clinton Street, Orange, where William Snr worked for Massey Harris tractors. Both parents were active members of the Orange community and were involved church activities, fundraisers and the war effort. 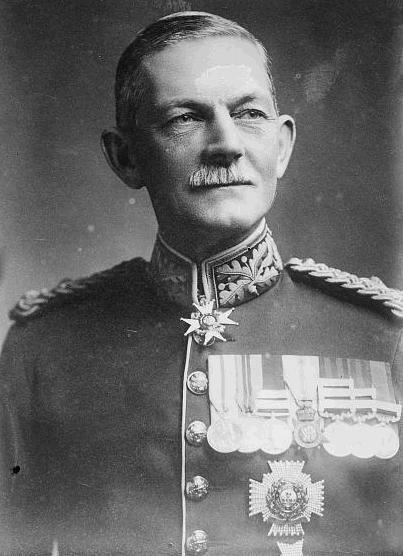 William embarked for overseas service from Melbourne in December 1914, arriving in Egypt in late January. He served in Egypt and Gallipoli however, according to a letter written by his step-brother to the Army in 1967, William did not take part in the initial landing at Gallipoli because he was in hospital at the time with pneumonia. Lance Corporal O’Bree was killed in action at Gallipoli on 2 May 1915; he was buried the same day. Over a year later, on 3 June 1916, his father received one brown paper parcel containing his personal effects: a wallet, two notebooks, a Testament, a safety razor, two knives, badges and coins. The O’Bree family left Orange in early 1919, returning south and settling in Swan Hill. William Hebry O’Bree is commemorated on the Holy Trinity Church Orange Honour Roll, St John’s Presbyterian Church Orange Honour Roll and on the World War I Roll of Honour on the southern face of the Orange Cenotaph. He also is remembered on the Horsham Roll of Honour and the Swan Hill War Memorial. In 1923 the Anzac Memorial Avenue of trees was planted along Bathurst Road to commemorate fallen WWI soldiers. A tree was planted in honour of “L Cpl W O’Bree”; it was donated by WEG Satchell. Very few of the trees are still standing today. Charles Bean 1924. 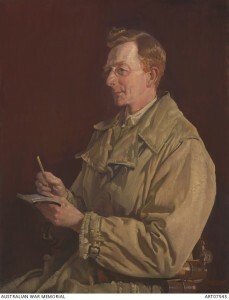 Portrait by George Lambert. Image courtesy Australian War Memorial. 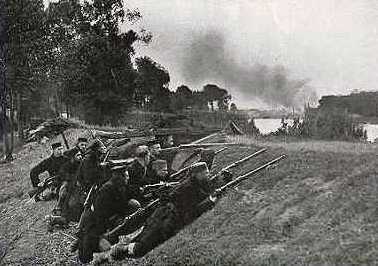 The Battle of the Vistula River, aka Battle of Warsaw begins on the Eastern Front. This results in a Russian victory against the German Empire and Austria-Hungary. Field Marshal Sir Arthur Barrett by Bain News Service. Licensed under Public domain via Wikimedia Commons. Belgian troops defending Antwerp 1914. Image courtesy Manchester Guardian. 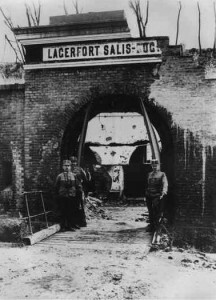 The French town of Bapaume is occupied by German forces. Bapaume is strategically located between Artois and the plains of Flanders on the one side and the valley of the Somme and the Paris basin on the other. The first units of the Indian Expeditionary Force “A” land at Marseilles en route for operations in France. These are the first Indian Army troops to land in France. Thomas Charles Cornish was born in England in 1898, the youngest of three boys born to Phillip and Frances Cornish. A sister – Phyllis – was born two years later. When Thomas was a boy the family emigrated to Australia, settling in Orange. Thomas’ brothers Edmund and Walter enlisted in the First World War in August 1914 and June 1915 respectively, however there appears to be no record of Thomas’ enlistment. Returned from Egypt on Wednesday night, with his blushing honors thick upon him, Private Tom Cornish. He is suffering from illness and shell shock, consequent on the heavy fighting in the Peninsular and in Egypt. The young Orange soldier was present at the evacuation of Gallipoli, which he speaks of with bated breath. Two other members of the family are helping to keep up the reputation of Orange in the firing line at present. Thomas’ name appears on the St Joseph’s Church Orange Honour Roll, alongside those of his brothers Edmund and Walter, both of whom were killed in action. In 1923 the Anzac Memorial Avenue of trees was planted along Bathurst Road to commemorate fallen WWI soldiers. A tree was planted in honour of “Pte WC Cornish”; presumably Thomas. It was donated by TS Leahey. Very few of the trees are still standing today. Walter Thomas Cornish. Image courtesy Australian War Memorial. Walter Thomas Cornish was the second of three boys born in London to Phillip and Frances Cornish. When Walter was a boy the family emigrated to Australia, settling in Orange. Walter and his older brother Edmund were educated at Orange East Public School; and both brothers went on to enlist in the First World War. A youngest brother – Thomas – also served in WWI, however there appears to be no record of his enlistment. 20 year old Walter enlisted in June 1915, ten months after Edmund. A private in the 13th Battalion, 7th Reinforcements, he embarked from Sydney in August, arriving at Mudros on the Greek island of Lemnos in October. Walter was hospitalised two months later, suffering from frostbite. He would be hospitalised on two further occasions; in February 1916 with pleurisy, and in December the same year with influenza. In March 1916 Walter joined his brother Edmund as a Gunner in the 10th Field Artillery Brigade. Three months later he joined the British Expeditionary Force in France. Walter was gassed in August 1917, but recovered sufficiently to rejoin his unit, only to sustain a gunshot wound to his abdomen a month later. 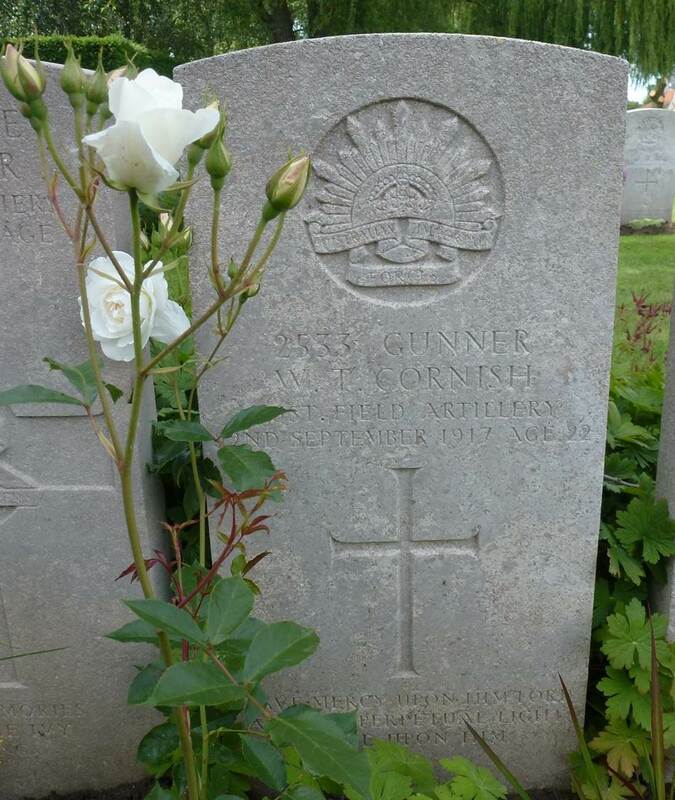 Gunner Cornish died of his wounds on 22 September 1917. He is buried at Lijssenthoek Military Cemetery in Belgium. Walter was one of seven men from the Orange district to die during the Battle of Menin Road Ridge. I am anxious to know if it is my son Gunner Walter Cornish 2533 that is referred to. I cannot understand why I have not been advised of his death. Will you kindly write by return and explain as I am most anxious. It seems that the Army had sent the notification of Walter’s death to his parents’ old address in England. Gunner Cornish was well known in Orange, and it seems only the other day that he was swinging along to school in knickerbockers. I would like to express to you my very, great appreciation of your son. He has been with me ever since I had the battery … and I always found him willing and cheerful, often under very trying circumstances. He was very cool under fire, and generally a man beyond his years in courage, ability and coolness. Your other son, Sergeant Cornish, is one of my best men. He will, I believe, go over to England to train recruits. 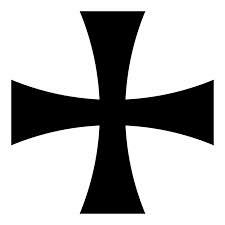 It can well be said of the Cornish family that they have done their bit for the Empire. Walter’s name appears on the Orange East Public School Honour Roll and the St Joseph’s Church Orange Honour Roll alongside those of his brothers Edmund and Thomas. Walter and Edmund’s names appear on the memorial plaque in Newman Park, along with 14 others who had 16 pin oak trees planted in their honour in August 1919 by East Orange Public School principal Mr AT Caldwell. Walter is also commemorated on the on the World War I Roll of Honour on the southern face of the Orange Cenotaph. In 1923 the Anzac Memorial Avenue of trees was planted along Bathurst Road to commemorate fallen WWI soldiers. A tree was planted in honour of “Pte WS Cornish”; presumably Walter. The tree was donated by AW Deane. Very few of the trees are still standing today. Walter Cornish’s headstone, Lijssenthoek Military Cemetery, Belgium. 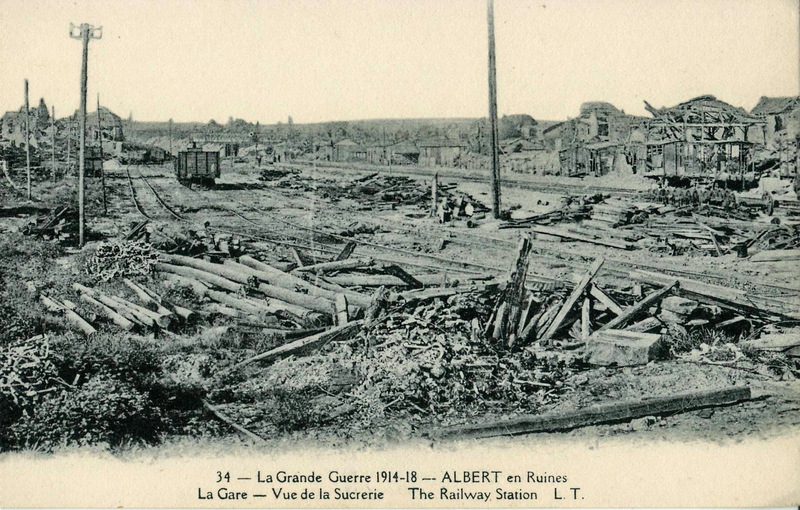 Albert en ruines. Image in public domain. 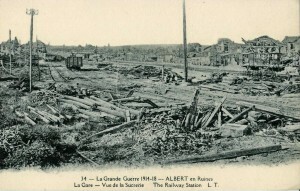 The First Battle of Albert begins. The battle – part of the Race to the Sea – lasts 5 days. The Germans intend to outflank the French and drive westward to the English Channel, seizing the industrial and agricultural regions of Northern France and isolating Belgium. The outcome is inconclusive, since either side is able to defeat their opponent. 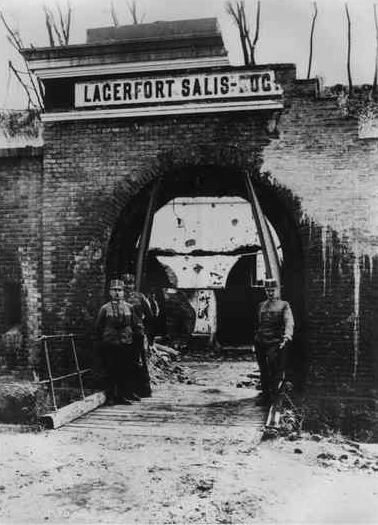 The fortress of Przemysl 1915. Public domain image courtesy Wikimedia Commons. The Siege of Przemysl begins as Russian forces isolate the fortress town on the River San in present day Poland. The siege is the longest of the war, lasting until March 1915. It is a crushing defeat for Austria-Hungary, who suffer over 86,000 dead and up to 110,000 wounded.